There are so many things you can do with these little tiny jewels. Out of all the choices I can make, I chose to make a Blueberry Tart with them, but not in the traditional tart form. I used store-bought frozen pastries and it was a great success. I found this recipe in Real Simple Recipes and adapted a little. It turned out beautifully. 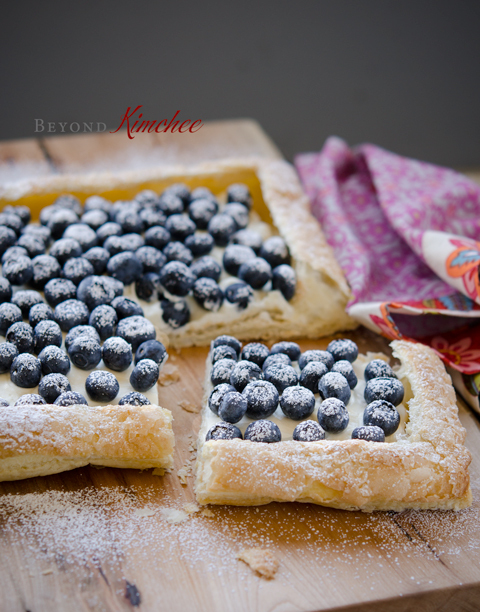 This blueberry tart makes a very light dessert with subtle sweetness which I love. And as you can see, the visual is so gorgeous that you can present to your lunch or dinner guests with a pride. Spring is near. So why not celebrate with something pretty to look at on your dessert plate? Well, would you like to stare my blueberry tart for a moment? Then, let me show you how I made. 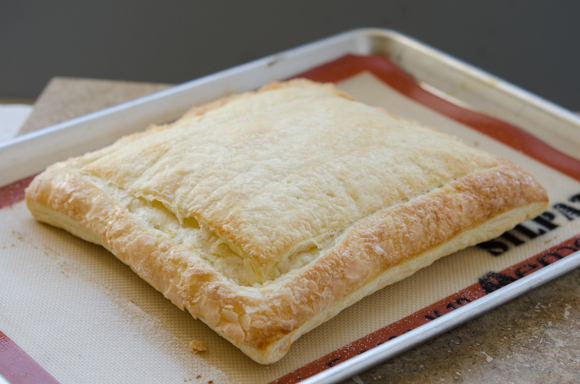 Place the thawed puff pastry on a baking sheet lined with silicon mat or parchment paper. 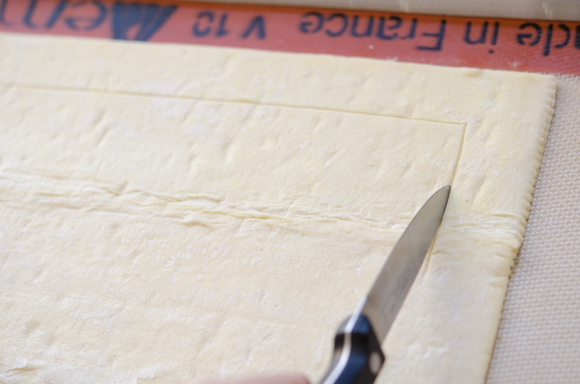 Score lines about 1″ from the edges of the pastry with a back of your knife. DO NOT cut through. Just score it deep. Brush the edges with egg wash and sprinkle with sugar. This will make very crisp and sweet tart crust. Put them in a preheated 375 degree oven and bake for 20-22 minutes or until nice and golden. PUFF! you got a puffy pastry! and press the center part of the pastry gently. They will collapse like this. Kinda fun to see it happens. You need to let this cool, about 15-20 minutes. Meanwhile, let’s make the filling. Combine cream cheese, heavy cream, powdered sugar and the lemon zest. Whip until nice and fluffy. Spread the filling evenly over the sunken part of the cooled pastry. 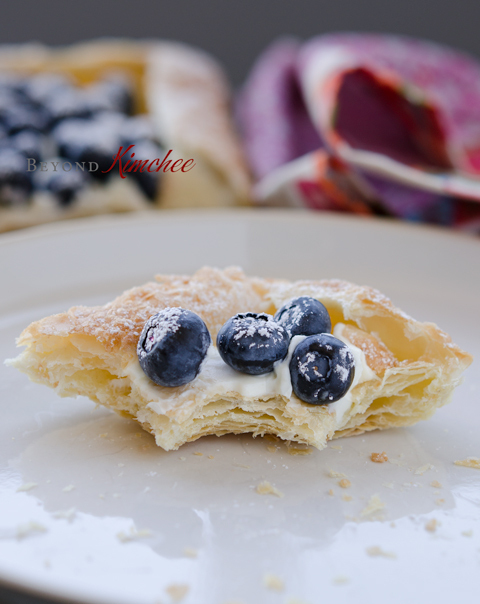 Scatter your lovely blueberries over the filling and sprinkle with powdered sugar for a stylish look. And your tart is ready-yo! I was gonna take a photo to show the flaky layer of the pastry after one or two bites, then I forgot. I luckily remembered just at the moment of the very last bite entering into my mouth. You can still see the flaky layer of the crust and the creamy filling. Oh, and the explosion of the fresh blueberries in your mouth! Just lovely! The recipe supposedly yield 8 servings, but I found it is hard to believe, because I could eat the whole thing if I let myself. However, it will adequately serve 4 people. 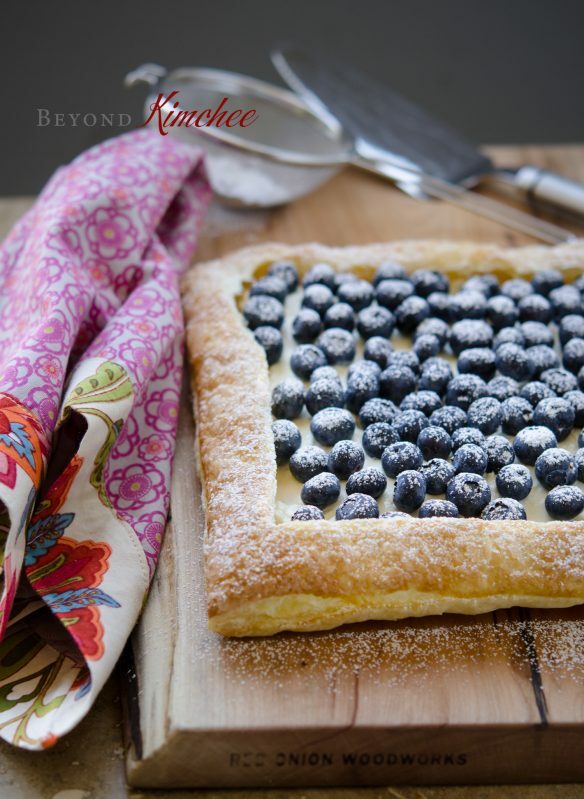 I can see the possibilities with this recipe with fresh raspberries or other type of berries in season. Peaches would be great, too. So if you see some fresh blueberries in the store grab a packet or two. It will brighten your day and your dessert plate like no other. 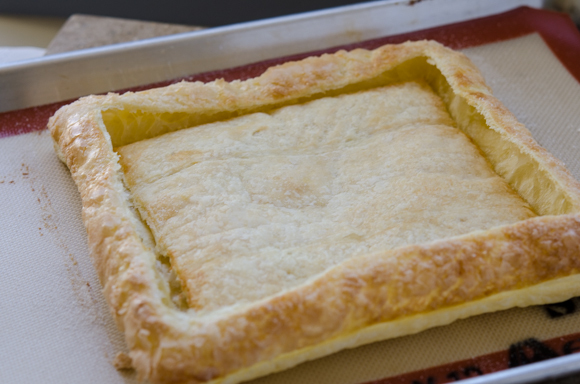 Heat oven to 375° F. Unfold the sheet of pastry on to a parchment-lined baking sheet. 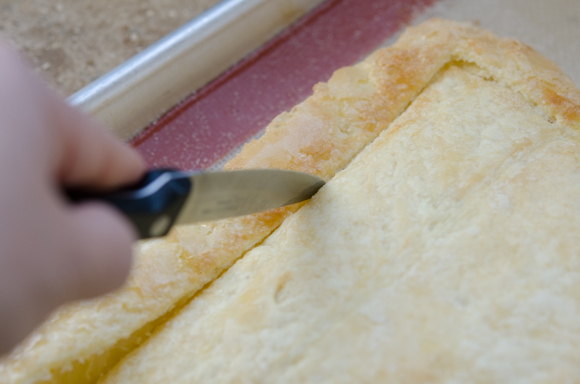 Using the tip of a knife, score a 1-inch border around the pastry without cutting all the way through. Brush the border with the egg and sprinkle with the granulated sugar. Bake until golden and puffed, about 20 to 22 minutes. 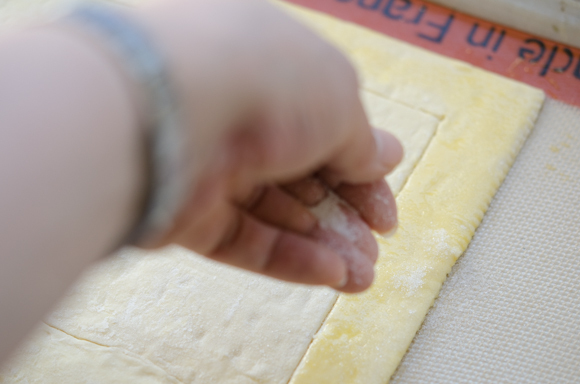 Using the tip of a knife, rescore the border of the cooked pastry without cutting all the way through. Gently press down on the center of the pastry sheet to flatten it. Let cool to room temperature, 15 to 20 minutes. Meanwhile, beat the cream cheese until smooth with an electric mixer. 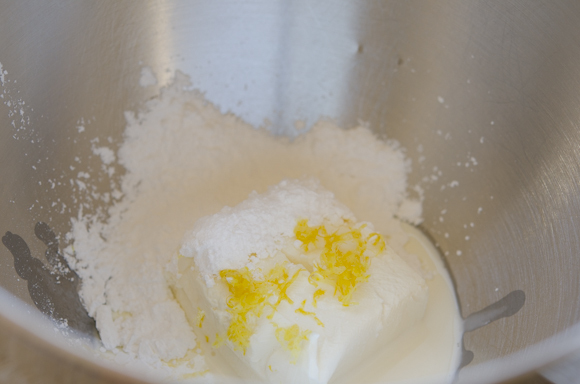 Add the cream, lemon zest, and the confectioners’ sugar, beat until smooth. 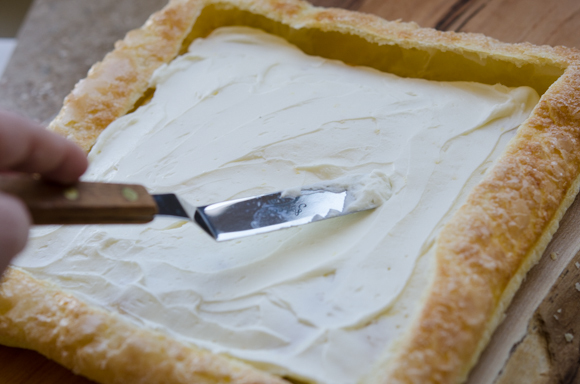 Spread the cream cheese mixture evenly within the borders of the pastry. 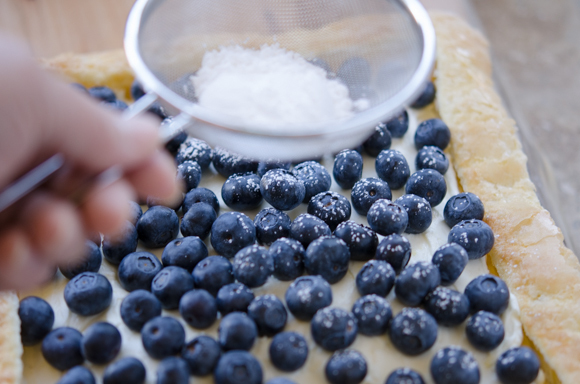 Arrange the blueberries in a single layer over the filling and sprinkle with more of powdered sugar. I am new here and totally inpressed with your work! 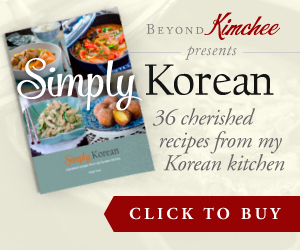 will visit everyday and thanks for sharing these delicious recipes! What a stunning, yet simple, tart! I can just imagine that lovely zesty filling...YUM. Holly, This tart looks so crispy!!!! I already had my dinner, but I really hope that I can share one piece right now. 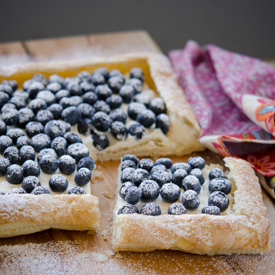 Hi Holly, This tart looks good and is a clever idea - easy, pretty and tasty. I love blueberries! And tarts. Combine the two? Heaven! This looks wonderful -- thanks. This looks amazing! 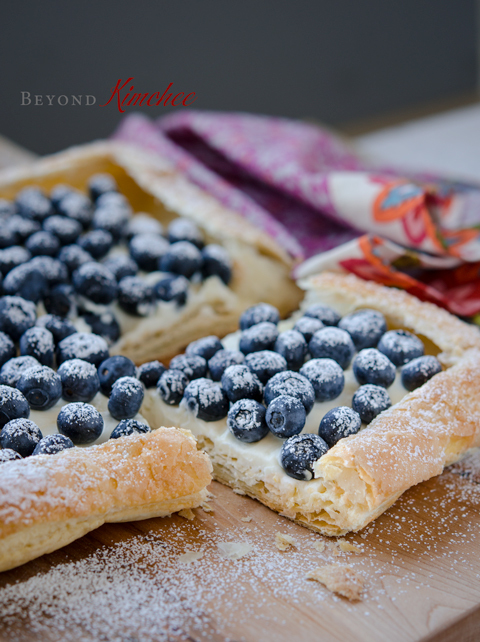 I love blueberries too as they're so versatile really but the winner here is the total of the crispy puff pastry and delicious berries... Yum! I used to buy Trader Joe's puff pastry but they don't have it anymore and since then I rarely buy puff pastry anymore, even though that's my form of "baking"!!! I definitely need to try your filling. I've never made it with filling like this, and I'm curious to try! And my toppings will be blueberries.. my favorite! 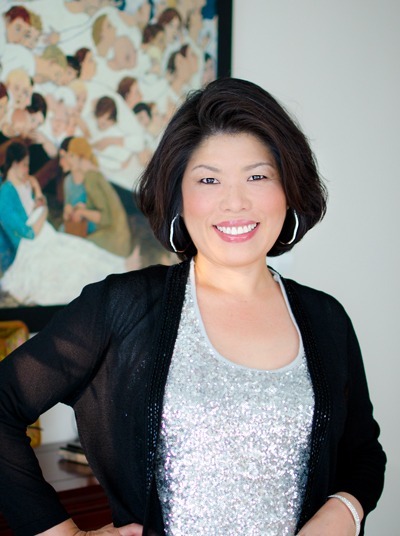 Hi Linda Fresh peaches sounds so wonderful! I bet it tasted so fresh and delicious. It is perfect for late summer. Let me know when you try with a different kind of fruits and how they turn out. Thanks!